The Visit West End Card is a Mastercard-based gift card which can be used in a network of businesses on and around Byres Road. It works just like a shopping centre gift card but is spread across a wider area, giving you plenty of choice. Choose your card amount and pay online; your card will be posted to you. The recipient can choose to use it in any of the 60 participating businesses on Byres Road. This includes shops, restaurants and service providers; and the card can be used in multiple places too. 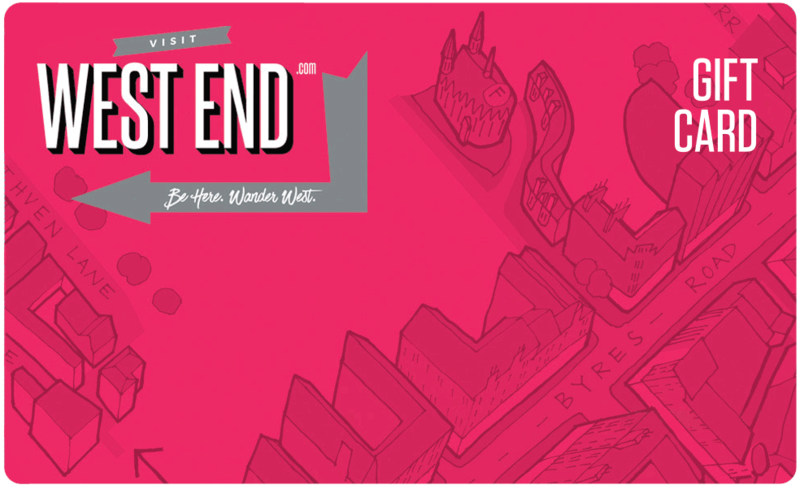 The Visit West End Card is a great gift for any occasion, and can also be used as an employee incentive or Christmas present. It’s easy to use and ensures that your money is spent locally, so you’re supporting the West End with your purchase.